Pen-and-ink editing. Those were the days. Clients require a portfolio submission with your bid. If you're new, you probably don't have a portfolio. Clients on sites like Guru and Upwork require a certain customer rating (usually 4.5 out of 5). Even if you have some portfolio items, you are still new to the freelancing world, thus do not have any ratings built up on these sites. Listing on Craigslist can be difficult. Often your competitors will flag your offer of service to gut their competition. So what's a newbie freelancer to do? In a word—agencies. Working as an independent contractor for agencies is the ideal way to build up your portfolio and hone your skills before you dive into the murky waters of seeking out your own clientele. When you work for an agency, the jobs are delivered to you by email. You don't have to seek them out. You get paid well. Sites like Fiverr, though useful in their own way, do not really allow freelancers to make a living wage. Agencies like First Editing and Proof Reading Pal have a staff of editors with different strengths (some are good with dissertations, others with novels), so you are more likely to work on something that interests you. So how do you work for one of these agencies? These jobs can be found on regular job boards like Indeed and Monster by typing in remote editing jobs or freelance editing jobs. They advertise for new talent pretty regularly. If you are serious about working from home, I recommend becoming a member of Flexjobs.com. This site has legitimate work-at-home opportunities that have been vetted. No scams here. This is where I have found the majority of my freelance jobs. It's a great resource if you're looking for home-based full-time work as well. A PC with a good internet connection. Not a Mac. A PC. You need Windows, because that is what everyone uses. A thorough understanding of Microsoft Word and the track changes function. Your clients will be asking you to do the formatting they don't know how to. Create an index, alter the margins to make an e-book, etc. Know how to use all the buttons Word offers. Know and understand the different types of scholarly referencing styles. AP style is not the same as APA. Chicago is different from Chicago Turabian. And MLA is just ridiculous. Are you working with clients in the UK? You better know Harvard style as well. If you were an English or Journalism major, you probably have at least some of this knowledge already, but don't think because you can recite Beowulf that means you know everything there is to know about copy editing. Some agencies require you to sign a non-compete clause. 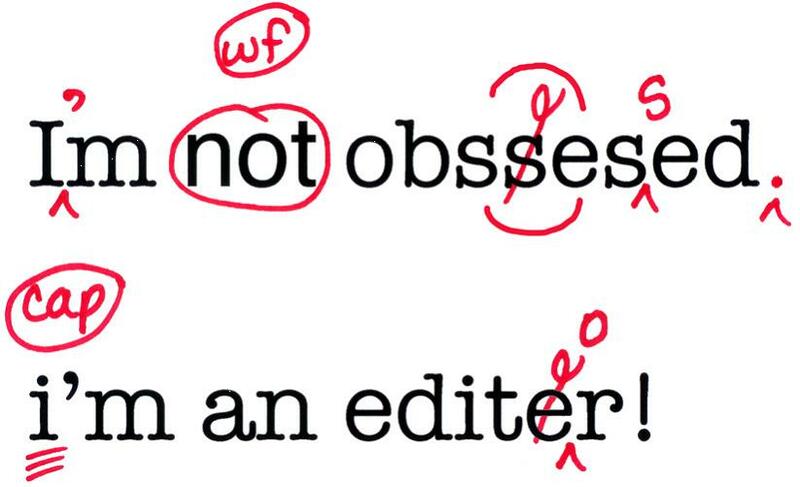 This does not mean you cannot seek editing work on your own. It only means you can't work for other editing agencies. Take this commitment seriously. Your reputation is very important. If an agency asks you to perform work for free for a trial period, do not do it. You are a professional. If they want to see your abilities, they will send you a test or ask you to submit a sample with your application. Keep in mind you are an independent contractor. If your agency tries to dictate which hours you must be available or gives out your contact information to a client without your permission, stop working for them. You are an independent contractor, not an employee. Once you have worked for an agency for a year or two, you will have built up an impressive portfolio and improved upon your skills. Then you can slowly start branching out to Guru and Upwork. Take some low-paying jobs first to get your ratings up. This is a marathon, not a sprint.